When it comes to preparing your company’s income taxes, you know how easy it is to make errors. IRS forms and schedules are complex, and you can overlook numerous details. The simplest thing you’ll do in this process is the cause of one of the most common income tax mistakes: forgetting to sign the return. After you’ve finished the tax marathon, you may be so relieved that you don’t remember this basic step until it is too late. This completely avoidable omission is actually quite a serious income tax mistake, because if you don’t add your signature, the IRS will bounce your carefully-prepared tax return right back to you. So always have a fresh set of eyes look it over, or put it aside and check it thoroughly later on. Sole proprietors and other very small businesses often fall prey to another income tax mistake. You must track business and personal income and expenses separately. There are many reasons for this, not the least of which is that it can simply look unprofessional and small-time at best, or even fraudulent at worst. The IRS carefully scrutinizes small businesses, looking for any signs that your part-time company is actually just a pastime that you want to avoid paying taxes on. In order to separate legitimate business deductions from personal expenses, keep two distinct sets of books and bank cards — and never cross the line between the two. And document everything. Make a note every time you buy something related to work, because you may well forget a purchase’s purpose at tax prep time. A third common income mistake is not correctly distinguishing between employees and independent contractors. This can be a very complicated issue, and it’s one that the IRS takes quite seriously. This form can help you make the correct determination. Better yet, let us sort it all out for you. There are numerous other income tax mistakes that can get you in hot water with the government. 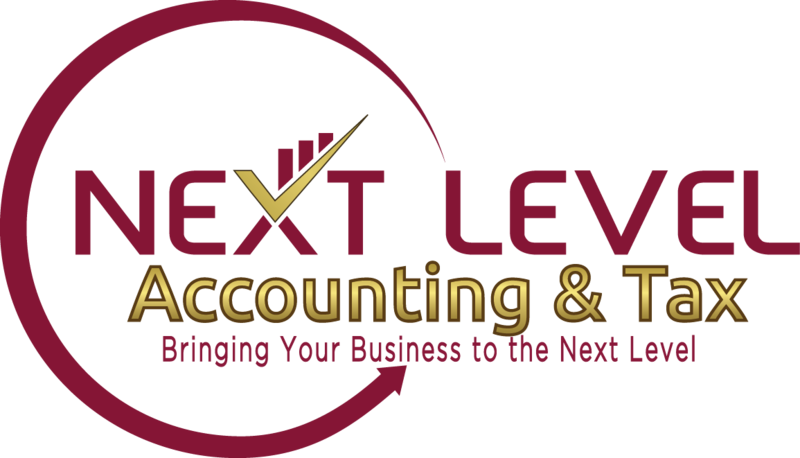 At Next Level Accounting & Tax, we’ve been preparing business tax returns for decades. Contact us today for a free consultation — before the tax deadline gets any closer.